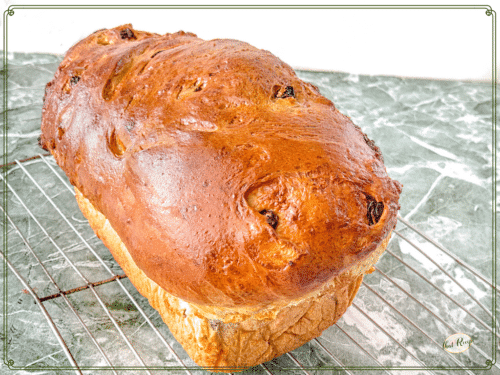 This Cinnamon Swirl Raisin Bread is a little bite of home baked happiness. 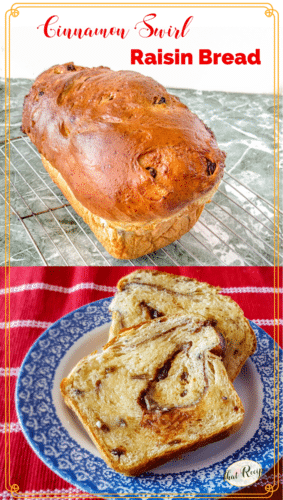 The rich brioche like bread is studded with raisins and has a colorful swirl of cinnamon sugar spiraling through. let the cinnamon swirl soak up the milk for a bit before rolling to avoid the layers of bread separating. do not undercook it, it will look done at least 10 minutes before it actually is baked through. In a small bowl, beat two eggs until yellow. Remove 1 tablespoon and set aside for the final egg wash. In a 2 cup measuring cup, combine milk, water eggs and butter. 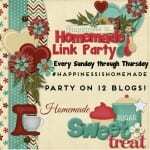 In a stand mixer equipped with a dough hook, add 2 1/2 cups flour, 3 tablespoons sugar, yeast and salt. Mix for a minute or so until combined. With mixer running slowly add in liquid. Once incorporated the dough should not stick to the bowl. If it does add additional flour a few tablespoons at a time. Knead dough for 10 minutes. Add raisins and mix just until the raisins are spread throughout. Put dough in a greased bowl, cover with plastic wrap and let rise in a warm place until doubled in volume, about 2 hours. My favorite place is in the oven with light on. Punch down dough and press out into a 16 by 8 rectangle. Don't stress the dimensions too much, the short end should be as wide as your bread pan. Brush the top of the dough liberally with milk, saving about 1-2 teaspoons for the final egg wash. In a small bowl, combine sugar and cinnamon. Spread on top of the milk. For best results, let the cinnamon sugar mixture absorb the liquid so it is not still dry. This helps make a gummy layer that will make your swirl bake in, but not separate the bread. Roll up the dough, pinching the bottom closed. Put in a greased 8.5 by 4.5 inch loaf pan with the seam side down. Let rise until dough is about 1 inch over the top of the loaf pan, 60-90 minutes. Move oven rack to the position just below the middle one. Preheat oven to 350 degrees. Combine the reserved tablespoon of beaten egg with a teaspoon or two of milk. Brush on the top of the bread. Bake for 30-35 minutes, until top is dark golden brown and thermometer inserted in the center of the loaf registers 195 degrees. Note, the loaf will look done 5-10 minutes before it is actually baked through. If you are worried about the top of the bread getting too brown, cover loosely with foil. Let loaf cool for 5 minutes on a wire rack. Remove from pan and then allow to cool completely. That bread looks just as good as I’m sure it tastes!